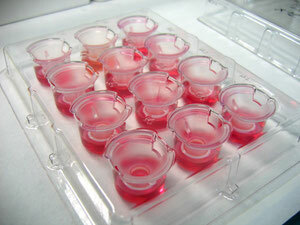 From the perspective of animal protection, the reconstructed human tissue culture models such as skin regeneration models are extremely useful for the evaluation of safety and efficacy of poorly soluble materials and difficult-to-test formulations; the need for such models has increased in the recent years. 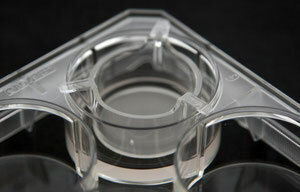 Moreover, the reconstructed human skin models and corneal epithelium models can be used as alternatives to animal tests for the evaluation of irritants. NDR is the sole distributor of the reconstructed human tissue culture model developed by the French manufacturer SkinEthic in Japan and South Korea. NDR sells various types of reconstructed human tissue culture models, ranging from skin regeneration models to mucosa models. Furthermore, EPISKIN and SkinEthic RHE, which are reconstructed human skin models, have been used in OECD TG431 (a skin corrosion test alternative to animal experiments) and OECD TG439 (a skin irritation test alternative to animal experiments). SkinEthic HCE, which is a reconstructed human corneal epithelium model, is currently being evaluated by the ECVAM as an alternative to animal experiments for use in eye irritation tests. NDR also performs tests using these models. In addition, we use SkinEthic RHPE (a reconstructed human epidermal model containing melanocytes, which allows for evaluation of the inhibition of melanin production), SkinEthic HOE (a reconstructed human oral mucosal epithelium model), SkinEthic HGE (a reconstructed human gingival epithelium model), and SkinEthic HVE (a reconstructed human vaginal mucosa epithelium model).